My kitchen nook was in serious need of a new curtain solution. There are windows on every side of the room. 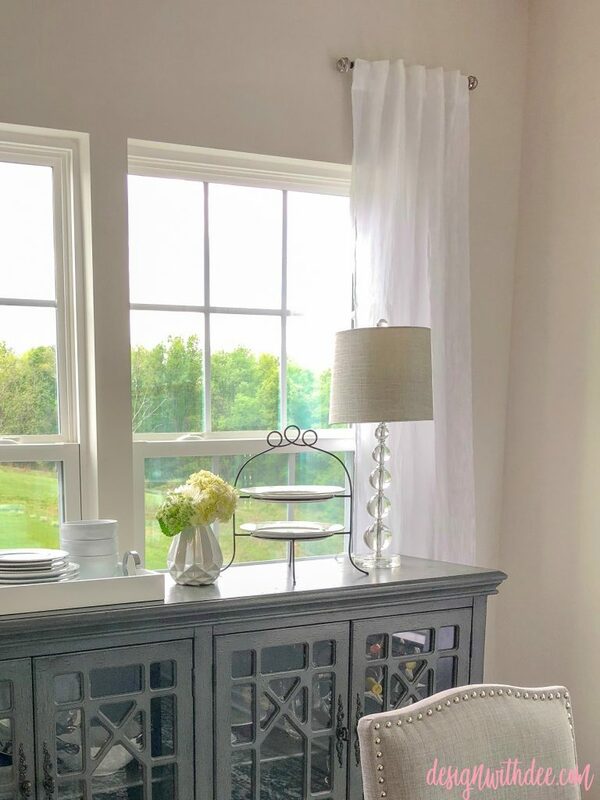 (Gives it more of a sunroom vibe — but we use this room as a morning room/breakfast nook/casual dining room.) 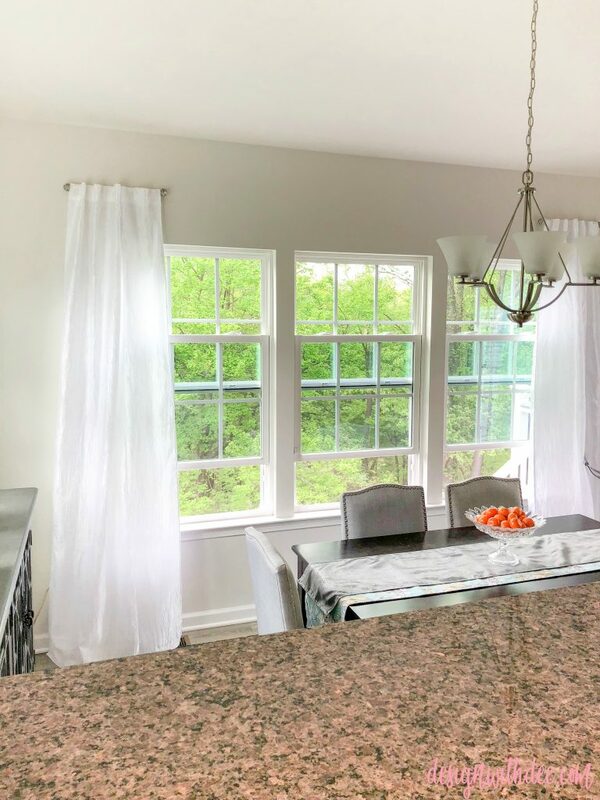 These windows provide the only natural light into my kitchen so I needed to leave them as unblocked as possible, but add some texture to the room. 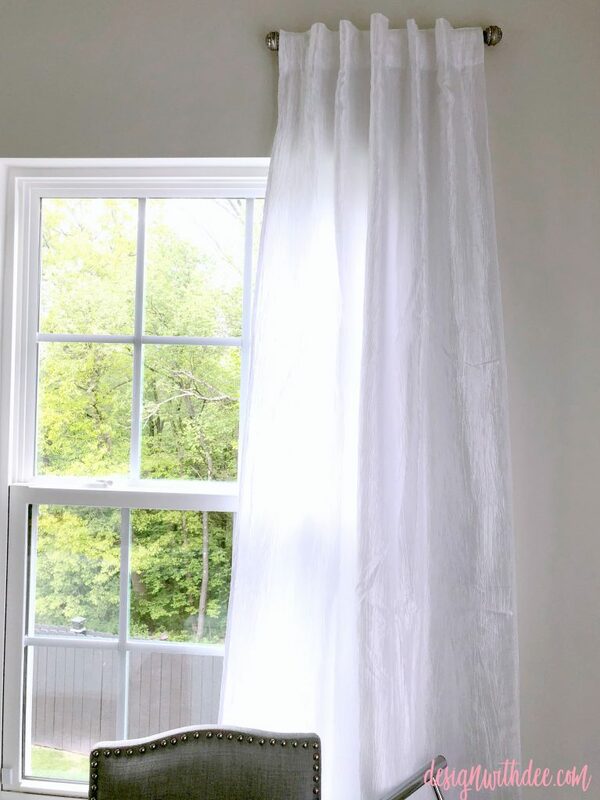 I had put up white “bubble” curtains when we moved in (only because I had them hanging in our last home) but I hated how dark they made the room and how much they blocked my view to the outside world. So, I went researching and looking on the internet for the best solution. 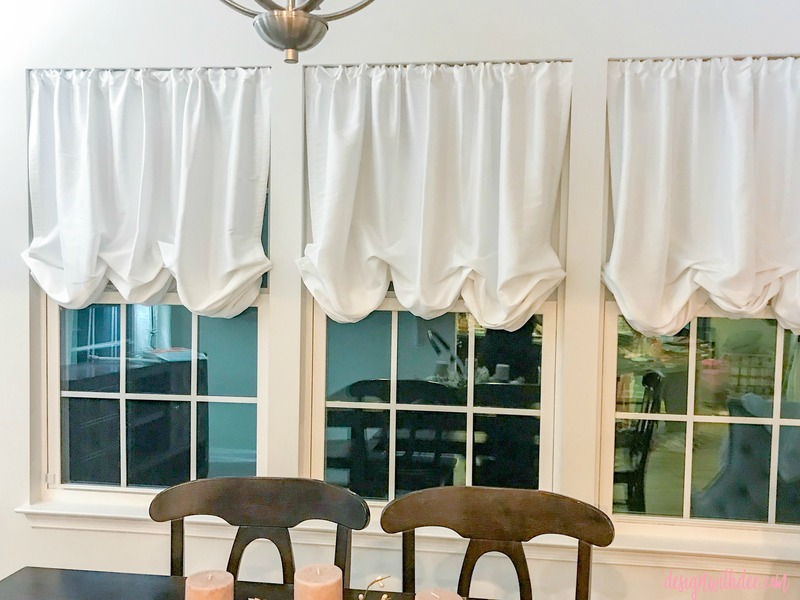 I saw lots of rooms with darkening panels on curtain rods that spread across multiple windows — just NOT the look I am going for. Honestly, I didn’t need to have functioning curtains, just something pretty. So when I saw short curtain rods, I knew this was the solution. After figuring out what I wanted, I headed to my favorite store of all time: Home Goods. I will never shop any place other than Home Goods for curtain panels. They have a TON of different options for $20-$60 a pair! You really cannot beat their pricing. I happened to be shopping at the perfect time and found two sets of panels on clearance for $20 each, I had to have them! They were light, bright, white and would work perfectly for our kitchen nook. 8 Drawer/Cabinet Knobs, these needed to match my room/style but also, and most importantly, the “screw” needed to be attached to the knob. 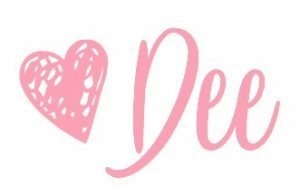 It cannot detach or this will not work. I found the best options at Hobby Lobby. 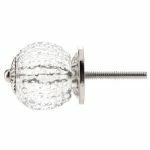 All of their drawer knobs (and they have millions of beautiful options for any style) have the screw attached. 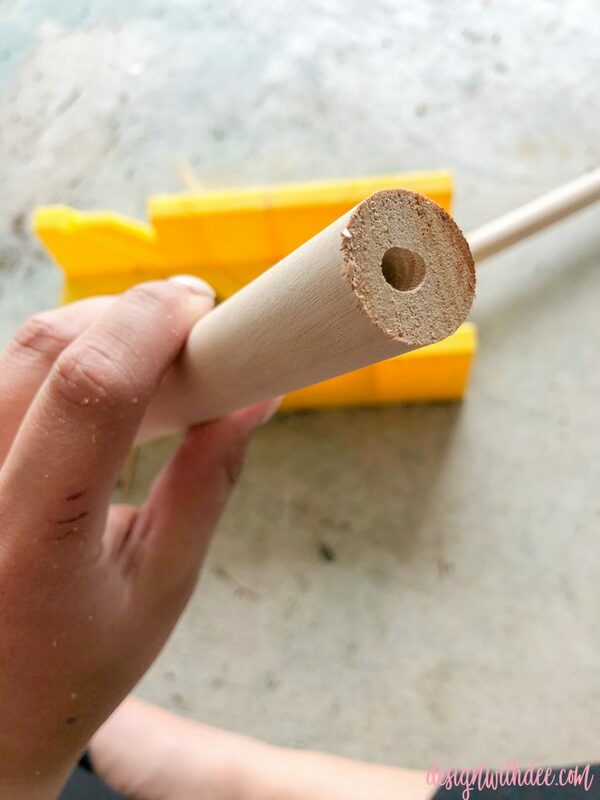 2 48-inch Wooden Dowel Rods, after choosing my favorite knobs from Hobby Lobby I went to Home Depot and found a dowel rod that matched the size of the knob. 1-inch seemed the best option. These will be cut down to 4 14-inch pieces. 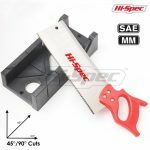 I did this at home with my handheld miter saw, but I’m sure the Home Depot people would cut it, as well, to make the process even easier. Spray Paint, in any matching color (optional). 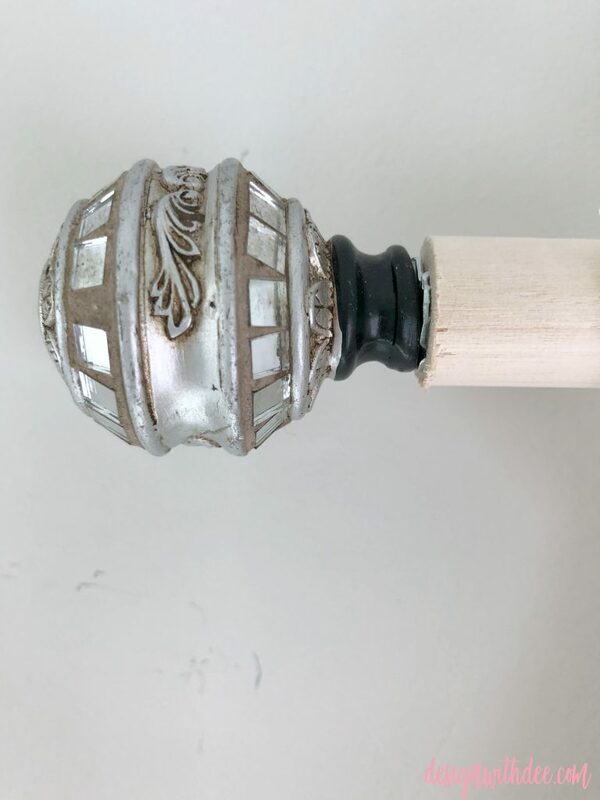 I purchased the spray paint originally, but the curtains I found do not let any of the dowel rod show. So, I ended up not using this. If I was using grommet curtain panels, I would have to spray paint the wood. 8 Hook Screws, to attach the rods to the wall. These need to be large enough to fit the dowel rod inside the hook. 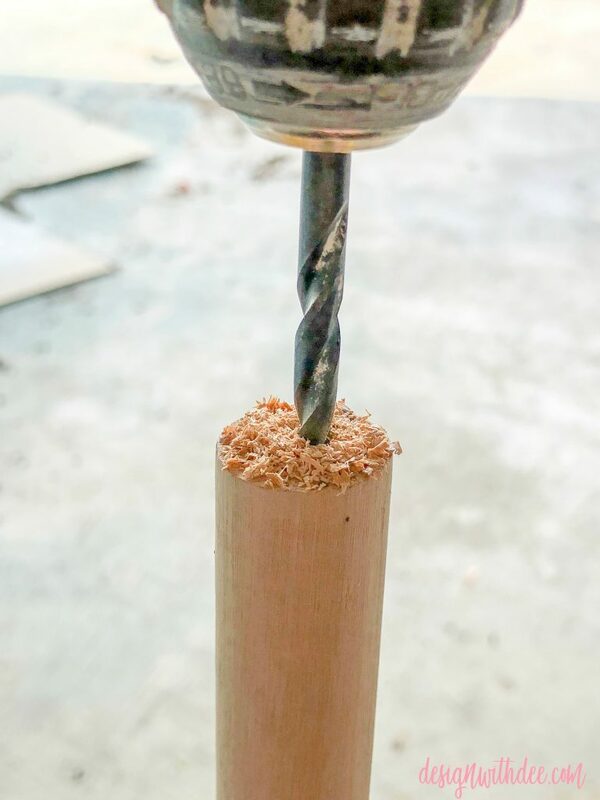 Once I had 4 separate 14-inch pieces, I drilled a hole (the hole size needed to match the size of my T-Nut and correspond with the size of the cabinet knob) with my drill-bit in the middle of each end of every dowel rod. 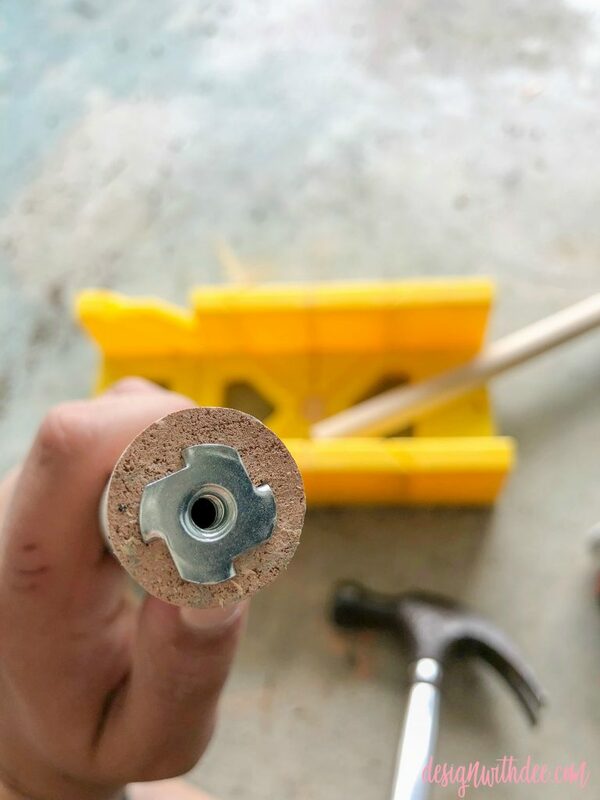 This hole needed to be deep enough to let the screw from the drawer knob fit down into the dowel rod and sit flush with the end. This was 8 holes in total. After this step is where I would have spray-painted the rods. Since I decided not to, onto the next step! I took each t-nut and hammered it into each of the holes. Once that was completed, it was time to add the drawer knobs. This was the easiest step, all I did was screw the knobs down into the t-nuts and hole at the end of each rod. Then the rods are complete, it’s time to hang these curtains! So, the next step was to measure my windows and decide on the perfect placement of these curtain rods. I wanted them to the side of my windows and (since my curtains are 96-inches long) I needed to measure 96-inches up from the floor. So once I measured this, I drilled two holes per rod into the wall for the hook screws. (I placed these holes 12-inches apart.) Then, I hammered plastic drywall anchors into each hole. Once those were in the wall, I screwed the hook screws into each of the anchors. Now that all hook screws are in place, I could slide the curtain panels onto the rods and place the rods on the wall! 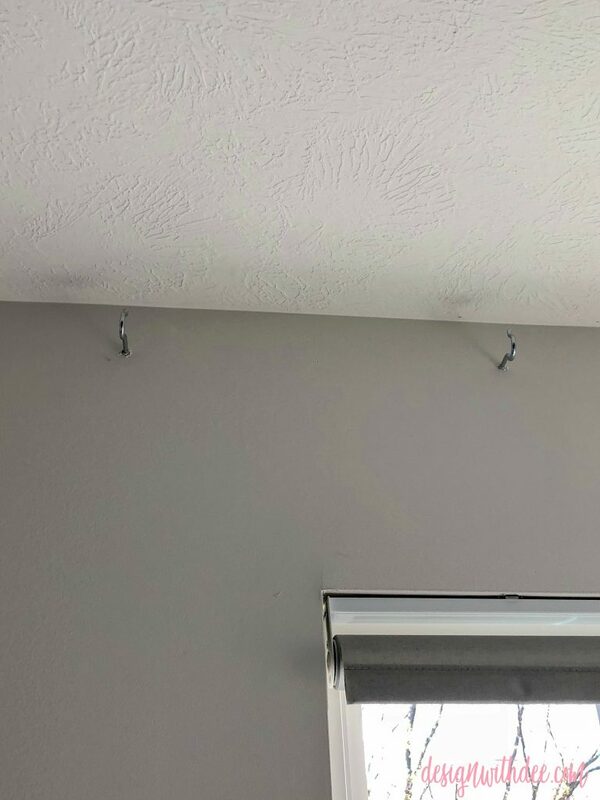 I hung the rods directly in the middle of the two hook screws and made sure to push each end of the rod down into the hook. And, that is it! This was seriously the easiest DIY project I have done in my home. It only took about an hour and I love the outcome! These rods combined with the light curtains have opened up this room so much! I love being able to see outside again while I’m working in the kitchen! 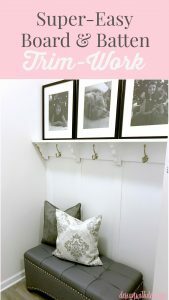 I hope this tutorial inspires some of you to create your own curtain rods. And if you do, trust me, you’ll love the outcome! 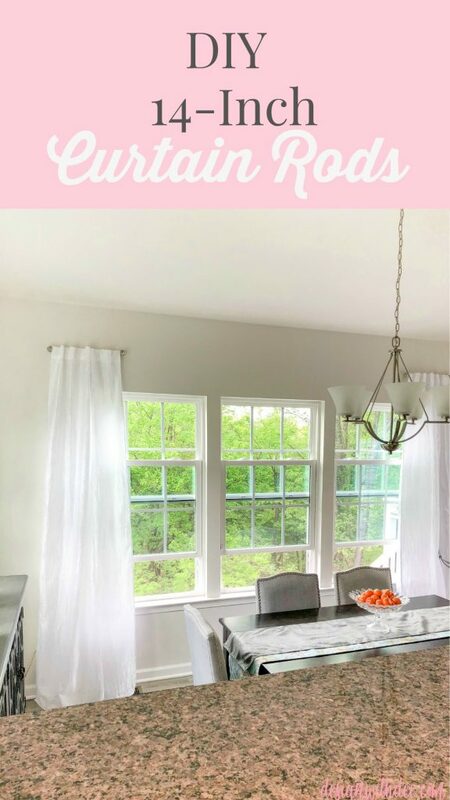 Shop This Post to Create Your Own DIY Curtain Rods! 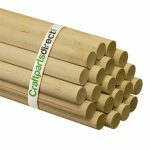 A great option for new curtain rods! 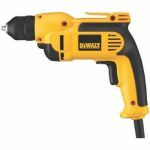 For the quick DIY project. Pin this graphic to save for later! 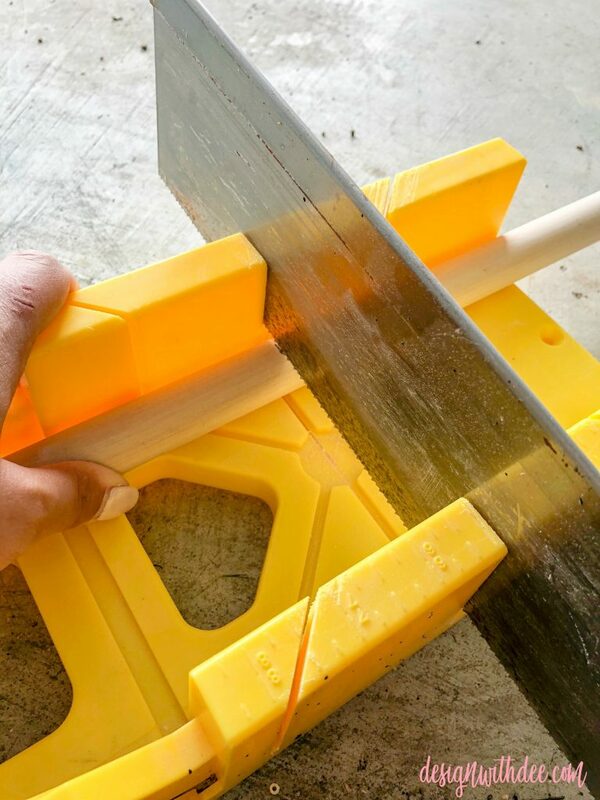 If you liked this DIY, check out my other great posts! 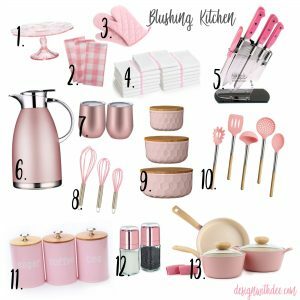 Great Finds for the Kitchen in My Favorite Color! Love these, I have a window like this! 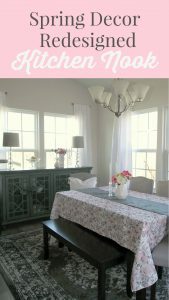 This curtain rods DIY tutorial is just what i want. Thanks for sharing such an awesome idea.